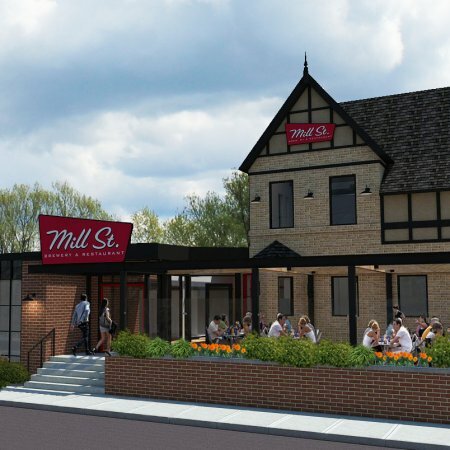 CALGARY, AB – After a number of unfounded rumours over the past few years, Toronto’s Mill Street Brewery has confirmed that it will be opening a brewpub location in Calgary in 2016. As reported by Calgary Metro, the new brewpub – the fourth in a chain that includes locations in Toronto’s Distillery District and Pearson Airport, and in Ottawa – will be located in the historic Costigan House at 219 17 Avenue SW, most recently home to Republik Nightclub. Operating in partnership with Creative Restaurants Group, the Calgary outpost will feature a full scale brewery to be built adjacent to the existing house, which will be “renovated back to its ‘20s-styled ‘glory days'”. Work on the site is underway, with an aim to open in spring 2016. See the full Calgary Metro article for more details.